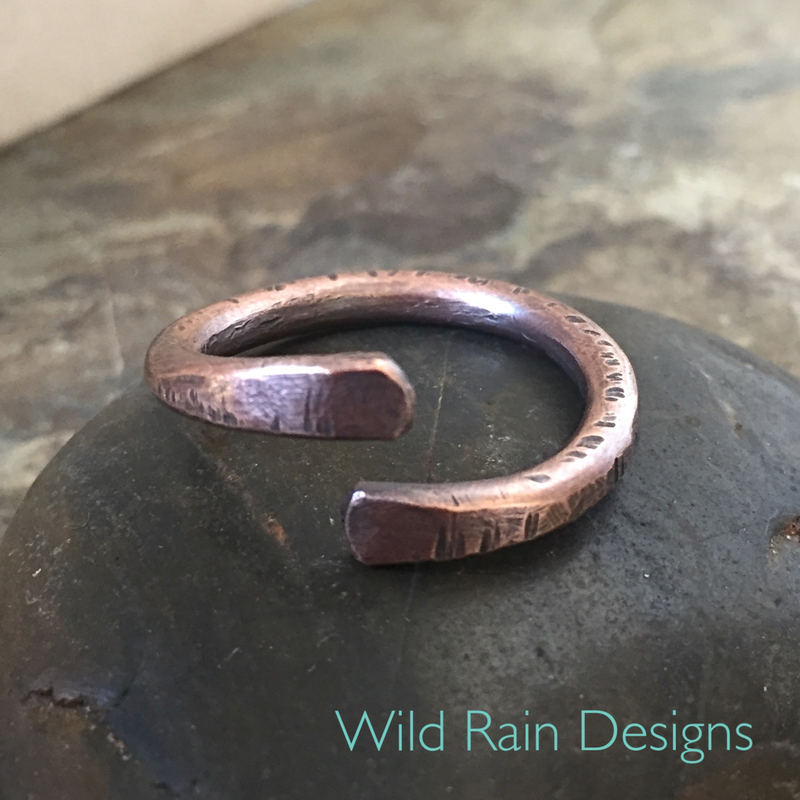 Copper Chunky Ring. 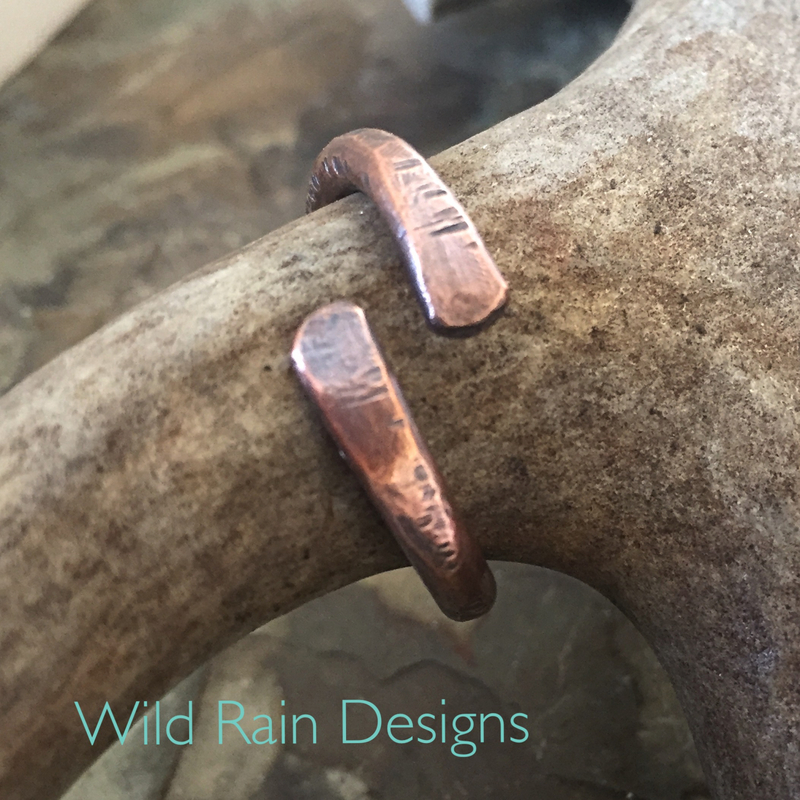 Made using traditional metalsmith techniques. 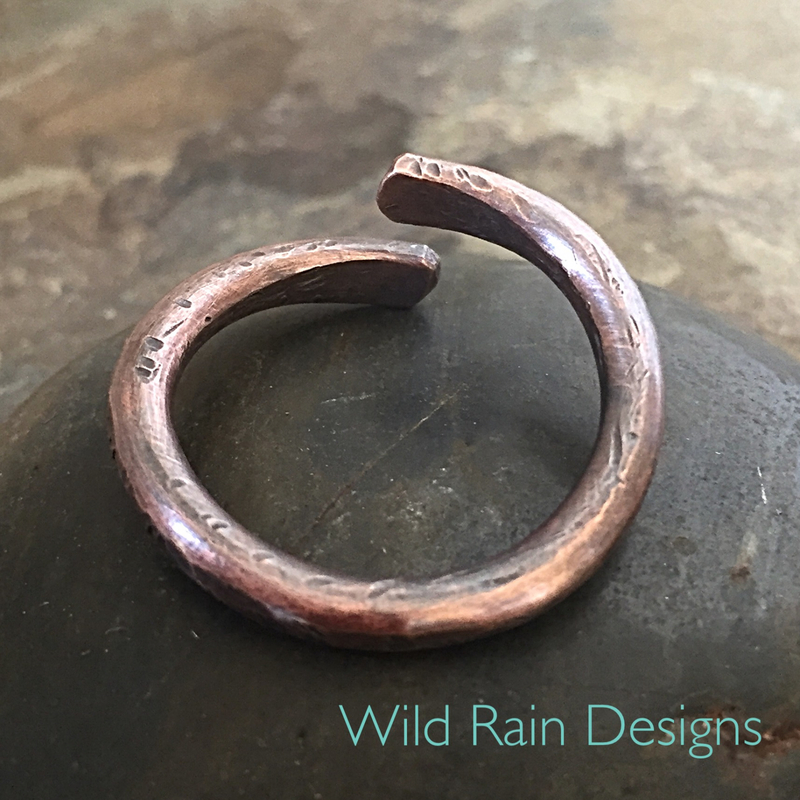 Hand forged and annealed by me from 8ga (3.264mm diameter) copper wire. This is a chunky and substantial brute of a ring. I gave it a slight hammered and oxidized look. 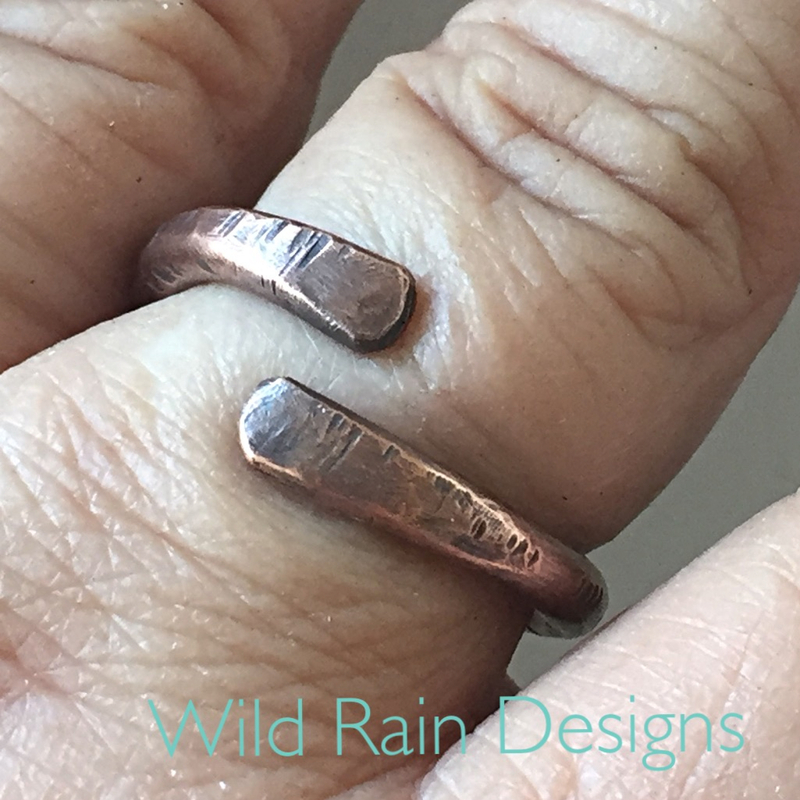 The ring would fit best on larger fingers sizes 10 to 11. Please read copper info notes below. If you have a question on your ring size, please wrap a string around your ring finger and measure the length of the string. Very unique OOAK piece of jewelry. 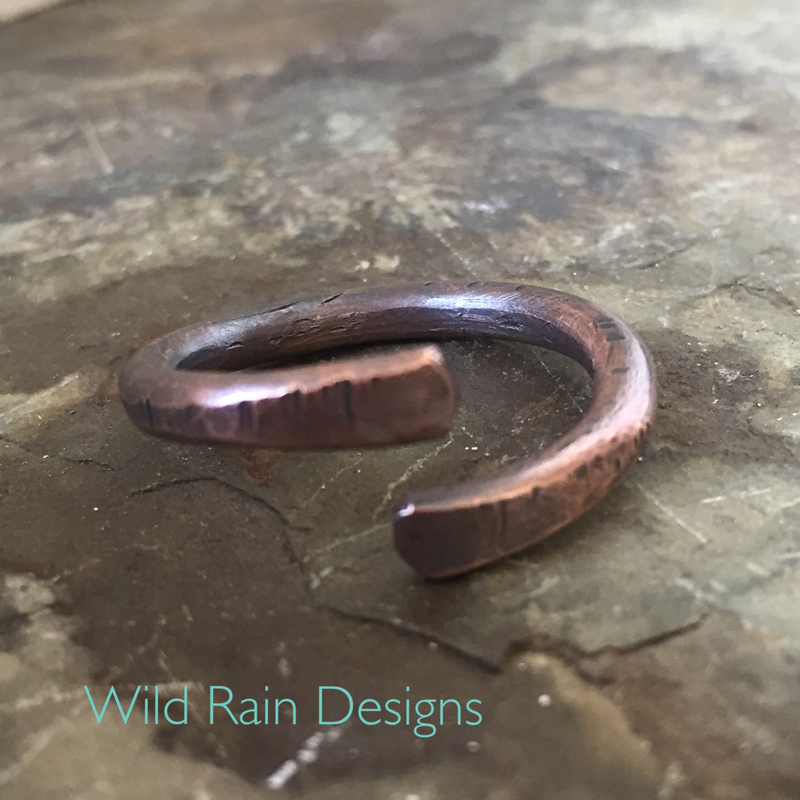 Copper oxidizes and darkens when it comes in contact with the air in the environment. It tends to get to a certain dark color but then it doesn’t get any darker. Copper develops a patina, especially in the presence of heat, sunlight, sweat, swimming pools and chlorine water, chemicals and cosmetics. But you can lessen the process by removing copper jewelry before bathing, swimming, doing dishes, putting on lotion or makeup. *Provide necessary copper by absorption through the skin.